A very warm welcome to Baytree School website, we hope you find the information about what is happening in school and the range of learning opportunities that we provide useful and informative. If you cannot find what you are looking for please do not hesitate in getting in touch with us. Baytree School is a Specialist School for young people who have Severe Learning Difficulties and/or Profound and Multiple Learning Difficulties. We work closely with Herons’ Moor Academy. We have up to 67 pupils/students aged between 3 and 19 years. Our school community, supported by a committed governing body, is determined for each pupil to receive an individualised, tailor-made and holistic education, within a caring and nurturing environment. We prioritise pupils individualised next steps of learning by working closely alongside other professionals including therapists, specialist staff and other professionals. At Baytree we are extremely proud of our school, the achievements of our pupils and the expertise and dedication of our staff. We understand how important choosing the right school is, and so on behalf of our pupils and staff, we would like to warmly invite you to visit our school and experience for yourself the quality of education we offer. Baytree aims to provide pupils with a supportive, nurturing, safe, secure and stimulating environment in which their social, emotional, intellectual and health needs are met. Meet some our dedicated staff and teachers. The curriculum is specifically adapted to provide the academic, personal and emotional development of all pupils. Keep up to date with our latest events and the schools calendar. 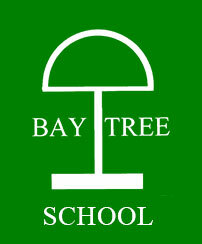 Baytree School is a registered charity. We are always grateful for any support given to us. Whether fundraising for the school or a one-off or regular donation, it’s a fantastic way to help the school provide extra activities, events & equipment for the pupils. There are also many other ways you can help the school. For information just send us an email. Morrison's are doing the quiet hour all week this week! Thank you Morrisons! Here at The Campus we've got lots of fun things to do! If you would like to join in on one of our many activities contact us via telephone at 01934 427427 or pop into The Campus and see someone at Reception! I can’t put into words how amazed and impressed I am with the ongoing effort from all the staff who work with my son. Without them there is no way that he would have been able to achieve all that he has and reach his potential! Thank you so much! What a fantastic report. We are thrilled with the progress he has made. You are all amazing, thank you so much! D has made great progress in all areas this year but particularly in speech and communication. He has had so many more opportunities and experiences and been to so many places. It has been great for him and has broadened his horizons and developed his strong sense of independence. You are our star! We are very pleased with H’s progress at Baytree. C is an amazing teacher who highlights his ability and works to help him achieve small milestones in his life. We are overwhelmed by a progress we didn’t think we would see in H. Thank you. Thank you all for your care and hard work for our daughter. She has learned so much at Baytree and has really loved being at school with you. Your staff are always putting the needs of the children first and strive to find ways to help all the children reach their potential. I’m so glad E came to you 8 years ago and I know she will miss you all very much. I love how well you all know M, how happy she is at school and I am so proud of her! Thank you for a wonderful report full of photos and smiles. I am delighted that she is staying with such a fantastic team again next year. We are blessed. Thank you. B continues to make great progress thanks to the AMAZING staff who have continued to support our young person brilliantly. THANK YOU ALL!! Great staff, happy to help. So pleased A is doing so well – thank you Baytree. Wonderful school, wonderful people. M thoroughly enjoys attending Baytree. Her transition to school and her new class has been wonderful. She’s fully engaged with the new adults, peers and class room activities. We have all seen progress in her communication, engagement and movement. Thanks for a great year! A copy of the class timetable will be sent home at the beginning of each term.